A Lynn man was charged in federal court in Boston Wednesday with an international art swindle involving two Andy Warhol paintings and spanning more than 6,800 miles, according to the US Attorney’s Office. Brian R. Walshe, 43, was arrested and charged in a criminal complaint with one count of wire fraud. He was detained pending a probable cause and detention hearing scheduled for Friday, prosecutors said in a statement. 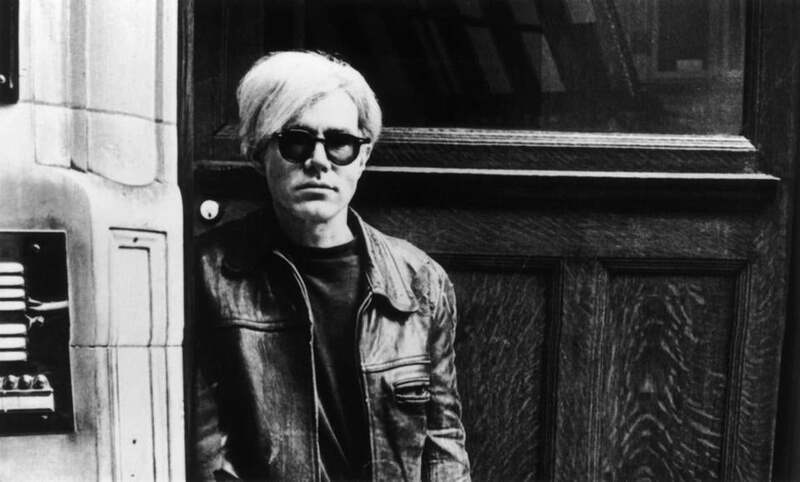 Authorities said Walshe took two authentic Warhol paintings from a South Korean man he met while they were students at Carnegie Mellon University in Pittsburgh during the mid-1990s, then falsely offered those pieces on eBay. When a Los Angeles art gallery owner who specializes in Warhol’s work agreed to buy the two pieces, Walshe delivered fake paintings, according to federal authorities. The two pieces in question are from the pop artist’s “Shadows” series, which are a collection of untitled, abstract, acrylic-on-canvas paintings from 1978. In November 2016, the Los Angeles gallery owner, who was not identified, noticed the two works for sale on eBay, according to federal court documents. The original listing price for the two pieces was $100,000 and the seller included photographs of the paintings, a picture of an invoice that included authentication numbers and a purchase price of $240,000. The gallery owner thought the art was authentic and agreed to buy the works for $80,000, according to the attorney’s office. The gallery owner’s assistant flew to Boston, met Walshe at the Four Seasons Hotel and gave him a cashier’s check for $80,000, which Walshe deposited that day, federal authorities said. The assistant, who was not identified, flew back to Los Angeles with what she thought were the paintings, according to the attorney’s office. Once there, however, the gallery owner removed the frames and found there were no authentication stamps and that the canvasses and staples looked new. The buyer compared the paintings to the photographs from the eBay listing. “[T]hey did not look identical,” according to an FBI affidavit. He concluded that the paintings he bought from Walshe were not authentic Warhols, according to federal authorities. The buyer then tried to contact Walshe, who initially did not respond, then stalled and gave excuses for delaying a refund, according to federal authorities. It was not the first time Walshe went mum when it came to his alleged art dealings, according to the attorney’s office. Walshe had previously told the true owner of the authentic Warhol paintings while he was visiting him in South Korea that he could sell some of his art. The man, who was not identified in court papers, agreed, and allowed Walshe to take the two Shadow paintings and other fine art pieces. An FBI affidavit suggests that the victim and Walshe were friends at one time; it mentions that Walshe often visited the victim in South Korea, staying for weeks at a time, and that Walshe attended his wedding. But after Walshe was allowed to take some of the man’s art, including the pair of Warhol paintings, two Keith Haring prints, a Warhol “Dollar Sign” print, and a porcelain statue from the Tang Dynasty, Walshe went silent and the South Korean man was unable to contact him, according to federal authorities. Eventually, the victim contacted a friend who met with Walshe in Boston and retrieved some of the art, but not the two Warhol paintings. Federal prosecutors said Walshe tried to consign the two Warhols to a gallery in New York City in 2011, but the gallery declined because he did not have a bill of sale. “It is alleged that Walshe took the art from the victim, and falsely offered the authentic Warhol paintings for sale on eBay, but delivered fake paintings to the buyer,” said the attorney’s office in a statement. Walshe made an initial appearance in federal court in Boston Wednesday, and prosecutors said he was detained pending a probable cause and detention hearing scheduled for Friday. If found guilty of wire fraud, Walshe could face up to 20 years in prison, three years of supervised release, and a fine up to $250,000, federal prosecutors said. The investigation is ongoing, according to the attorney’s office.